Why Service Your Vehicle Here? New vehicle pricing includes all offers and incentives. Tax, Title and Tags not included in vehicle prices shown and must be paid by the purchaser. While great effort is made to ensure the accuracy of the information on this site, errors do occur so please verify information with a customer service rep. This is easily done by calling us at (800) 633-8135 or by visiting us at the dealership. 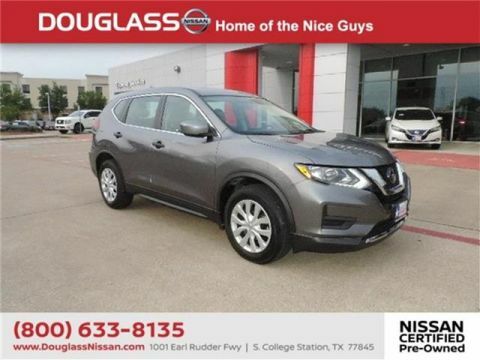 Certified w/ 100% CARFAX Guaranteed This 2018 Nissan has been cared for and is in great condition inside and out. Buying a Certified Pre-Owned Vehicle is a smart choice. The program includes many other benefits that a private seller just can’t match, like a thorough multi-point inspection conducted by a team of Factory-trained technicians. 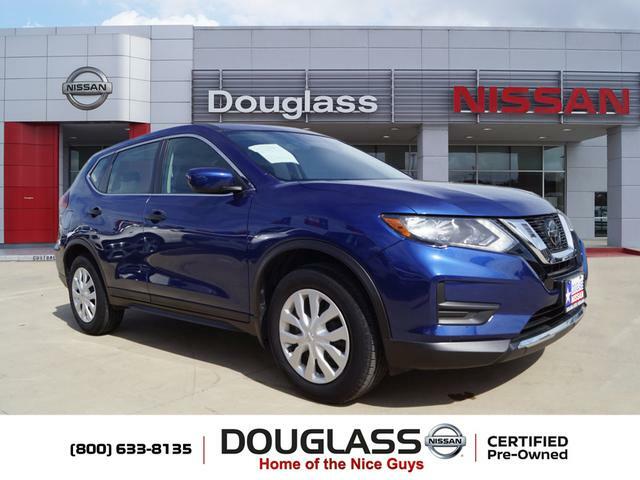 This Rogue is well equipped with features like, Blue,CD/MP3 (Single Disc),FWD,4-Cyl, 2.5 Liter,Auto, CVT Xtronic,ABS (4-Wheel),Air Conditioning,AM/FM Stereo,Alarm System,Backup Camera,Bluetooth Wireless,NissanConnect,Daytime Running Lights,Dual Air Bags,F&R Head Curtain Air Bags,Hill Start Assist Control,Keyless Entry,Power Door Locks,Power Steering,Power Windows,Rear Spoiler,SiriusXM Satellite,Side Air Bags,Steel Wheels,Tilt & Telescoping Wheel,Traction Control,Vehicle Dynamic Control,Cruise Control,Blind-Spot Monitor,No available options see Douglass Nissan for all the great details today! 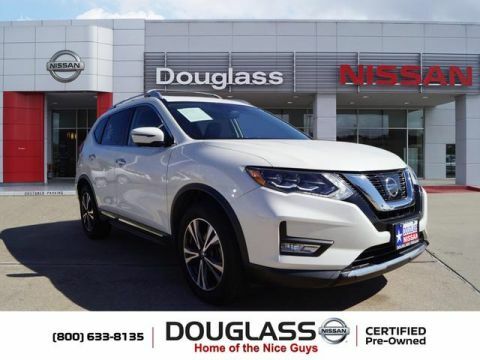 Welcome to the Douglass Nissan website, a fast and convenient way to research and find a vehicle that is right for you. Whether you are looking for a new or used Nissan car, truck, or SUV you will find it here. 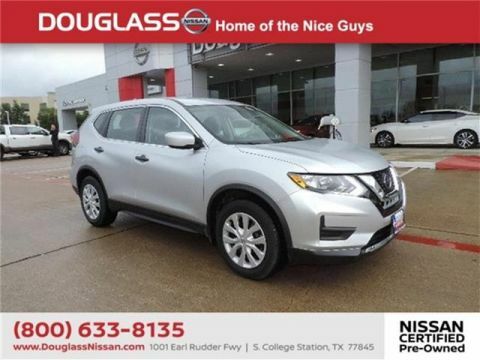 We have helped many customers from College Station, Bryan, Madisonville, Navasota, Hearne, Rockdale, Caldwell, Brenham, Huntsville, Conroe, Franklin, Giddings, Hempstead, Magnolia, Cameron, Montgomery, Chappell Hill and Temple find the Nissan of their dreams!